Still catching up on old posts, this is a piece that I think is actually quite important but unfortunately appears to have broadly gotten buried. It is an article for The National Interest in which we get prominent Chinese and Indian academics to agree on paper on working together on Afghanistan’s economic future. As ever more on this subject to come, and please be sure to check out the site that I co-edit looking at China in Central Asia. The key to Afghanistan’s long-term stability is economic prosperity and development anchored in a secure and sound society. Sitting at the heart of the Eurasian continent, its prospects are important to the UK, China and India. Harnessing a common interest in Afghanistan’s economic future into an agenda could provide the foundations for a long-term solution to that nation’s intractable problems. Fellow BRICS members China and India do not see eye to eye on a number of issues. Longstanding border disputes plague the relationship and both have different views of Islamabad as a partner. Nevertheless, both share concerns about Afghanistan’s future and recognize the importance of stability in the country for broader regional peace. As a NATO power exiting militarily alongside the United States, the United Kingdom is eager to continue its aid program and other work with regional partners to develop a stable structure that guarantees Afghanistan does not return to its former state as a haven for terrorism and extremism. According to the United States Geological Survey (USGS), Afghanistan may be sitting on mineral wealth worth around $1 trillion. Its potential lithium deposits have been described as having the potential to turn the country into the ‘Saudi Arabia of lithium’ while it is estimated to have some $421 billion’s worth of iron ore, and a further $273 billion in copper. In the north, Afghanistan sits atop the lower end of the hydrocarbon rich Amu Darya basin. But the ongoing security and governance problems mean that this untapped prosperity remains stuck underground. The threat of attack and uncertainty about post-2014 have meant that companies have been hesitant to proceed with investments. Security issues aside, problems with a lack of local-government capacity and a difficult business environment mean that while it is easy to get into Afghanistan, setting up shop is only the first hurdle. The result is an Afghanistan that cries out for investment and is unable to profit from its natural wealth. It is here that China and India could play a greater role. As regional powers with booming economies hungry for raw materials, they are exactly the consumer that would benefit from this mineral wealth. Currently, foreign direct investment into Afghanistan is dominated by Chinese and Indian state-owned enterprises (SOEs). There is MCC, Jiangxi Copper (owners of the Mes Aynak copper mine) and CNPC (responsible for an oil project in Amu Darya), all Chinese SOEs, and SAIL-AFISCO (majority owner of the Hajigak iron ore mine), an Indian firm. As SOEs, the firms are better able to take on large projects: governments have greater ability to influence company direction and harness it for Afghanistan’s long-term benefit. The key is to get firms to invest in both the project and the country. This can happen in a number of ways. First, there is the tool of providing jobs for locals around the sites. But projects should also aim to develop infrastructure around the site to connect the mines with the rest of the country and region, efforts that should be prioritized and coordinated in future bids. An additional benefit could be created if firms investing in the country were to assume responsibility for training local engineers and mining professionals. This training could take place at the sites or abroad. One possibility is for Chinese and Indian firms to offer scholarships to Afghan students to attend top universities in China or India to learn skills that could then be deployed on the mining sites. It is here also that the United Kingdom could play a role. British foreign policy has a long history of facilitating training programs, and some of the lessons learned may be helpful to China and India. The capacity problem is one that exists not only at an operational level, but also at a governmental level. British, Chinese and Indian governments could offer training courses for technocrats in the Ministry of Mines and other civil servants to help them develop the skills needed to effectively manage their country’s national wealth. Investing in local capacity should not stop at training people. Given that the companies in question are state-owned entities, their home governments have greater influence to ensure standards in compliance and corporate practice. Beijing and New Delhi should push their own SOEs to ensure that certain minimum standards of behavior are undertaken, focused on ensuring that their firms will not indulge in corrupt behavior in pursuit of contracts. A common standard of practice should be established to ensure that deals cut in Afghanistan are clean, and all sides should agree to not undercut each other. Naturally, a pragmatic approach needs to be taken but establishing good practices early will save trouble in the long run. The United Kingdom already works with the Afghan government to support the Extractive Industries Transparency Initiative (EITI), and the lessons being applied here could provide the foundation for a strong anticorruption program in Afghanistan. Finally, work should be done to develop a special mineral-protection corps. Men currently employed in the security forces will find themselves unemployed as the ANSF budget is reduced, and numbers are cut to create a more professional force. With few other opportunities on offer, they could simply hire themselves out to the highest bidder—whether they are mercenary, Taliban or warlord. Offering them jobs as a civilian security corps tasked with defending mining concessions could offer one useful alternative. A special constabulary has already been established tasked with defending the Mes Aynak project. Creating similar entities in other areas might have the dual effect of creating security on the sites, while providing a good employment opportunity for otherwise unemployed armed men. This is an admittedly optimistic agenda. 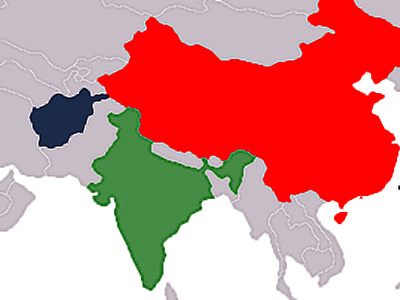 But as neighboring countries (and brother BRICS countries) with a vested interest in ensuring Afghanistan’s future, Beijing and New Delhi must find ways to cooperate more effectively. As a key NATO member about to withdraw after a decade of conflict, Britain is eager to create a regional consensus that guarantees a positive legacy in the heart of Eurasia. All three need to find ways of working cooperatively with other regional actors like Pakistan, the Central Asian states and Russia on issues of access and evacuation of mineral resources. Focusing on Afghanistan’s economic future and encouraging local development is key to ensuring a peaceful transition post-2014. Afghanistan’s past has been dominated by imperial exploitation—the future need not be the same. Brigadier (retd) Vinod Anand is based at the Vivekananda International Foundation (VIF). Professor Hu Shisheng is affiliated with the China Institutes of Contemporary International Relations (CICIR). Raffaello Pantucci is a scholar at the Royal United Services Institute (RUSI). 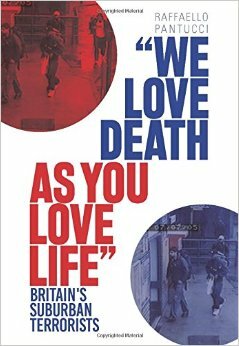 We Hate the EDL More Than We Love Life?